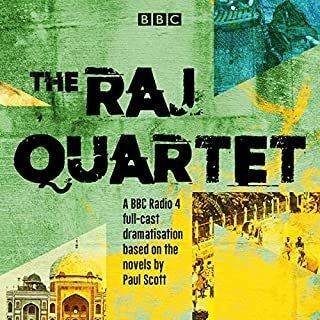 The first four series of the original BBC Radio 4 fantastical drama series set in a world almost, but not quite, like our own. Paul Hilton stars as William Palmer, the immortal, reluctant and unthanked hero protecting mankind from an enemy they resist believing in: the Grey Folk. Thrilling, dark and contemporary, the dramas are set in a recognisable present day but one haunted by the folktales of the British Isles: drowned villages, changeling children, werewolves and unruly nature spirits. 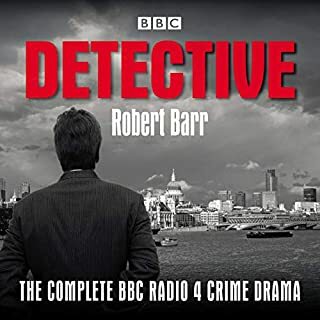 Brian Cox stars as the Edinburgh detective in nine episodes of the BBC Radio 4 series. Inspired by the real-life memoirs of a Victorian inspector in Scotland, James McLevy prowls the dark streets of 1860s Edinburgh bringing criminals to justice, with the assistance of Constable Mulholland. 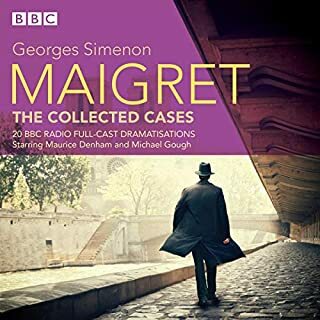 Brian Cox stars as the Victorian detective in a further nine episodes of the BBC Radio 4 series. Inspired by the real-life memoirs of one of Scotland's first policemen, James McLevy prowls the dark streets of 1860s Edinburgh bringing criminals to justice, with the assistance of Constable Mulholland. 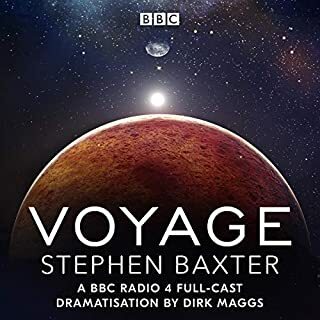 Brian Cox stars as the Edinburgh detective in eight episodes of the BBC Radio 4 series. 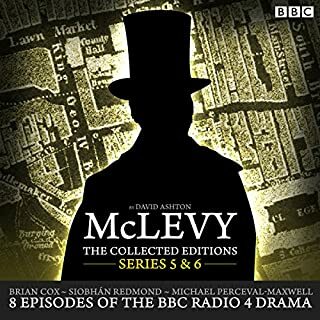 Inspired by the real-life memoirs of a Victorian inspector in Scotland, James McLevy prowls the dark streets of 1860s Edinburgh bringing criminals to justice, with the assistance of Constable Mulholland. 'To Keep Him Honest': with big bets on a champion boxing match, the local crooks keep McLevy busy. 'Picture of Innocence': a high court judge is dead, and suspicion falls on his wife. Nine episodes of the BBC Radio 4 detective series set in Victorian Edinburgh, starring Brian Cox as Inspector McLevy. 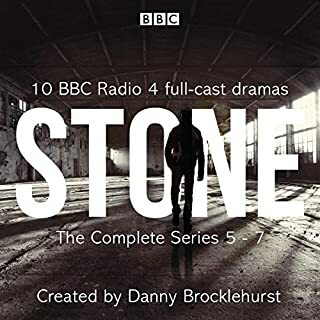 In this collection all eight episodes of series 11 and 12 are joined by 'Meet James McLevy', a remake of the original pilot episode. Inspired by the real-life memoirs of one of Scotland's first policemen, the fictional James McLevy prowls the dark streets of 1860s Edinburgh bringing criminals to justice, with the assistance of Constable Mulholland. 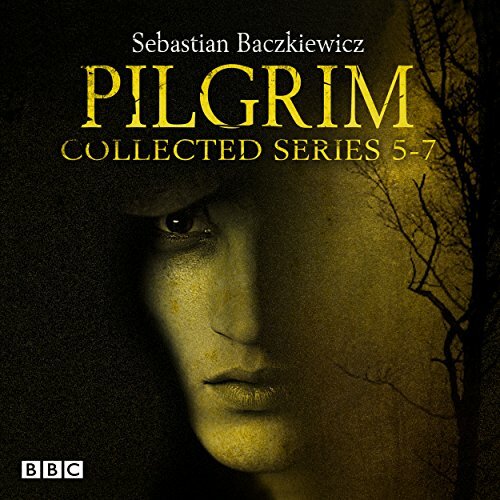 Paul Hilton stars as Pilgrim in the final three series of the award-winning BBC Radio 4 supernatural drama by Sebastian Baczkiewicz. In 1185 William Palmer was making a pilgrimage to Canterbury. Unbeknown to him, his fellow pilgrim was the King of the Greyfolk. When William claimed that the church would eradicate belief in the Faerie world, he was cursed by the Faerie King and condemned to walk forever between the worlds of magic and of men. In these three series, Pilgrim continues on his mission to preserve the uneasy balance between the two worlds and protect mankind from an enemy they resist believing in. His quests include searching for the Radiant Boy, a sinister harbinger of impending death; acquiring copper, silver and gold to rescue a group of people trapped in a mine by a malevolent spirit; and tracking down and punishing a former friend who has betrayed him. After so many centuries, will his curse be lifted and his wanderings finally come to an end? Starring Paul Hilton as the immortal, reluctant and unthanked hero, this award-winning series weaves together ancient myths, magic and contemporary realism to create a dark, thrilling and enchanting fantasy epic that will stay with you long after Pilgrim's story ends. What a wonderful story. Pilgrim, a man and a road travelled, that was so full of fantasy and humanity in these selfish times. More, SB ( the author ) please don't deny us more of Pilgrims travels and encounters with the grey folk. 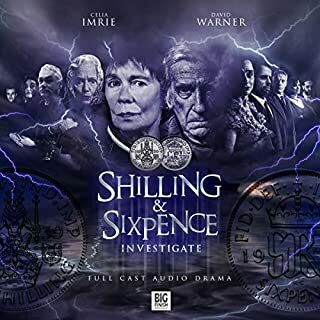 Paul Hilton is excellent as William ‘Pilgrim’ Palmer and the whole production is good, but if I listened to several episodes in one go I just got a bit bored. 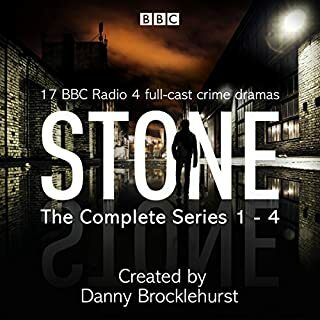 I’ve heard all seven series and the problem for me is that it is a bit samey, and the pace isn’t particularly fast; it feels on occasions they drag the story out as the script isn’t long enough to fill the episode. 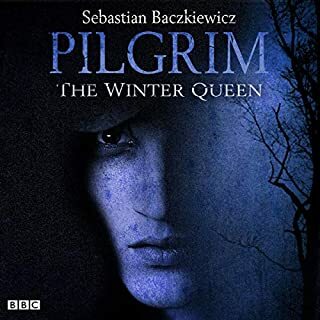 It is okay, and when I look at other 5* reviews I’m probably the only one who isn’t particularly enthralled by it, but believe the series would have been better with some regular companions for Pilgrim to journey with. loved it from the beginning till the end. really well written with fully developed characters and masterfully acted out by the cast. Couldn’t wait to download the rest of this series. Loved it. Voice acting is brilliant, great writing. Its almost too hard to review Pilgrim. If your a fan there is nothing to fault. If you're not, then you may love it or hate it. In my opinion what has been created in the whole Pilgrim lore easily stacks up with the British fantasy lore greats including Tokkien. Paul Hilton's performance as Pilgrim is at times heartbreaking and uplifting. If the idea of a man who has wandered around England for over 800 years, weaving creatures from myth into modern day story telling appeals to you then you will love it. This is an incredible story. I fully recommend it. 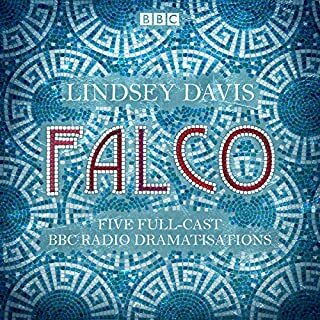 This is excellently dramatised and very dark stories - not fairy stories as we previously heard them. Well worth listening. 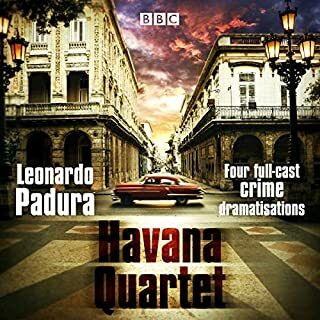 I listened to the series sporadically on BBC Radio 4 but didn't really keep track. 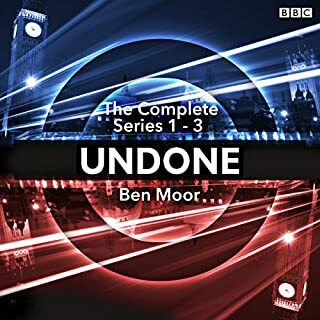 My 15 year old son had listened to all the episodes and kept saying how fab the story was so I bought the Omnibus Series 1 to 7 and thoroughly enjoyed it. 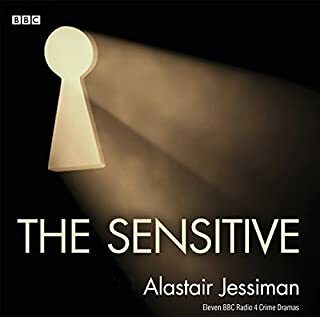 I do like listening to plays and do look out for Audible multi-narrator books. Hard to follow sometimes but has an amazing way of hooking you in. Paul Hilton does an outstanding job of portraying William Palmer and the other cast are top notch. The atmospheric background sounds are expertly delivered. I would give this five stars. 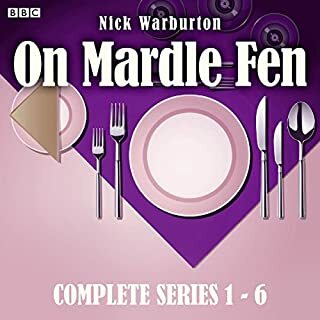 the plot was hard to follow and blurred together in a way that the early series didn't.